mid 1970’s that labels were created just to handle his ever expanding output. 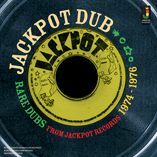 of some its finest dub cuts. dubbed version would now also see the new single being worked on for its version side. think are some of the best dubcuts from this label and era . Channel 1, Randy’s Studio, Harry J’s, Dynamic Sounds.